Dr. Zsuzsanna Fagyal, Associate Professor in French and a European Union Center-affiliated faculty member, was featured on WBEZ's program Worldwide. The European Union has 28 member states and 24 official languages. 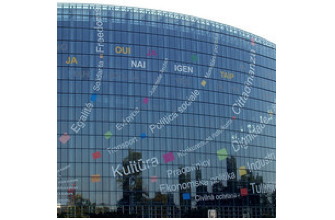 With a staff of 1,750 linguists it has one of the largest translation services in the world. In 2005 it set a goal to “increase individual multilingualism until every citizen has practical skills in at least two languages in addition to his or her mother tongue.” Some countries have done better than others in achieving that goal. We’ll take a look at why some countries have succeeded while others lag behind with Zsuzsanna Fagyal, a professor of French at the University of Illinois at Urbana, Champaign. She’s working on a book "Languages and Minorities in Europe” She’s also affiliated with the European Union Center at the University of Illinois.